Your domain name serves as the address of your business on the world wide web. 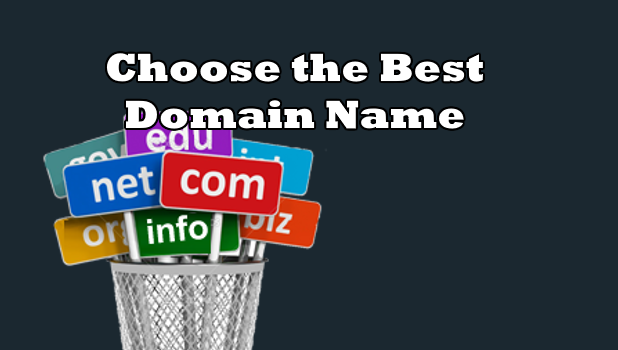 Learn how to choose the best domain name for your site. The domain name is the site’s identity that tells users and visitors what a site is all about without even scanning the site’s content. Thus, it is but important that you carefully choose a domain name that best represents and describes your business on a quick glance. This article will discuss some tips on how to choose the best domain name for your business. 1. Make it short and simple. The longer a domain name is, the harder it would be to remember it. Choose a name that’s simple. Do not complicate your domain name. Check out the screenshot below showing two domain names both referring to the same business. Which of the two names do you think is better? Yes, it’s the one on the right with a much simpler domain name. 2. Choose a name that’s easy to remember. One of the most important attributes of a domain name is its ability to retain into people’s mind. 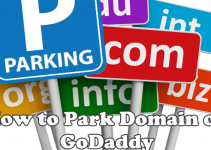 An easy-to-remember domain name allows users to easily recall and access your website. Know your target market. What are the words that may easily remember? What are the words they encounter the most? Use those words to create a domain name that’s hard to forget. Based on the screenshot below, we can determine that both sites are about iPhone cases for Justin Bieber fans. However, the domain name on the right is easier to remember than the one on the left. 3. Select a name that is related to your business. Domain names should be a representative of the business you are in. If you are a TV repair company in Oakland and your company’s name is McCarty Company, unless your company name is popular enough to be directly associated with your services, it’s best to choose a domain name that is related to TV repair than using your company’s business name. 4. Use search keywords. Think of yourself as a potential customer. What are the words would you input to Google to get the services or products that you want? That’s how keywords work. Choose the keywords that people usually use to search for a certain item or service which your company is offering. In the screenshot above, the keywords Oakland, TV, and Repair are the three most commonly used words when people from Oakland search for TV repairs services. 5. Avoid unnecessary characters. Remove a word that does not add to the domain name’s value. Take out dashes and numbers as they can confuse users and may trigger mistypes when searching for your site. 6. Choose a relevant domain extension. Domain name extensions help categorize the business you are in. Most companies prefer the extension, .com. Some businesses go with .biz as the popular .com extensions are more likely to be not available anymore. Make sure that you choose the right extension for your type of business. In the example below, choosing .com will indicate that you are into TV repairs in Oakland while the .edu extension may mislead customers into thinking that you are offering classes for TV repairs in Oakland. 7. Be flexible. Learn to modify your first name choice. Usually, if a site name came into your mind, then there is a high chance that someone has already thought of it before you. After inputting a domain name and getting a result that the name has been taken, try to choose from the list of suggestions given by your preferred registrar. You can also modify your chosen domain name to get a very similar name. Check out the screenshot below. Registering for NYTVRepair.com shows that the domain has been taken (left) but by adding a single letter, you will learn that the domain NYTVRepairs.com is available. 8. Consider purchasing an existing one. If you really want a specific domain name that’s already been taken, you can attempt to purchase the domain name from its owner or the registrar. The purchase may be costly but if cost is not an issue with you, purchasing an existing domain is the best way to get your preferred domain name. Choosing the best domain name for your business can be a pain in the head. Depending on your requirements and the type of business you are in, most of the initial names on your mind may have been taken. Just be patient and follow the steps indicated above to help you get that perfect domain name that reflects the business you are in.